On Thursday, January 18, 2018 at 10:00 AM, Sullivan County and the cities it encompasses will be reaccredited as an internationally recognized Safe Community. This reaccreditation will occur at an official ceremony to take place at the Kingsport Center for Higher Education, Room 131, located at 300 West Market Street in Downtown Kingsport. Light refreshments will follow. The award will be presented by Carrie Nie, Director of Safe Communities America. Sullivan County Mayor Richard Venable, City of Kingsport Mayor John Clark, and City of Bristol (TN) Mayor Jack Young will be in attendance to sign the declaration. Also in attendance will be representatives from area public safety agencies, health care organizations, schools, businesses, and industry. Sullivan County and its Cities were first designated as a Safe Community in 2012. 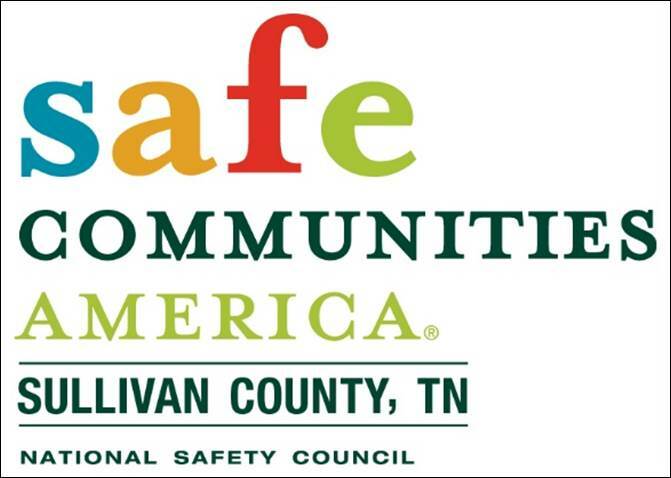 This community is one of only 19 internationally recognized Safe Communities across the entire United States and remains the only one so designated in the State of Tennessee. The effort to initially obtain, and then continue to maintain, this esteemed designation is led by the Safe Communities Sullivan County Coalition which was developed by the Kingsport Area Safety Council. KASC has been serving this community for over 70 years with the mission of enhancing the quality of life through the effective promotion of safety and health on the highway, in the workplace, in the home, and in the schools. The Safe Communities America model engages local partners who care about safety, uses data to identify leading causes of injury and death in the community, makes a plan to address the issues using proven methods, and measures success while continuing to make improvements. Safe Communities America has long been an accreditation program of the National Safety Council; however, the program will soon be transitioning to a new parent organization, with the ultimate goal of providing a wider range of resources to participating communities. Being designated as a Safe Community does not by any means indicate that the community never experiences any safety related issues. It simply means that the community has systems in place to quickly pinpoint these issues as they inevitably arise, and when they are identified, the community comes together in a concerted effort to address them.